Several thousand Palestinians were participating in weekly border protests along the Gaza fence Friday evening. Some protesters were rioting near the fence, throwing rocks at Israeli soldiers and burning tires to create a smokescreen. Some flew incendiary kites into Israel. Israeli officials said at least six fires had broken out in Israeli territory since the morning due to airborne arson attacks. The army said around 5,000 people had amassed at the border, and that it was responding to rioters in accordance with open-fire guidelines. The Hamas-run Gaza health ministry reported that a Palestinian medic was killed by Israeli fire. It said 84 people were hurt, of which 25 were shot by Israeli troops. Hamas said a ceasefire had been reached “on the basis of mutual calm” and went into effect at midnight. It said the deal was mediated by Egypt and other regional players. 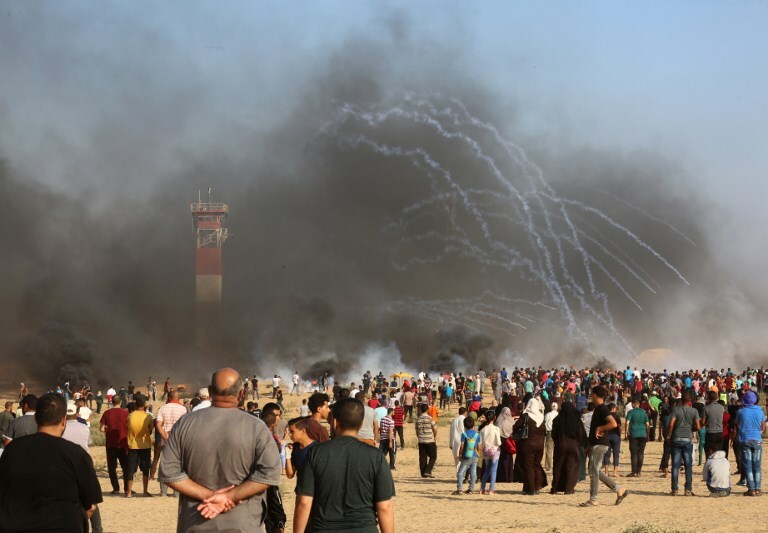 Israel denied there was a truce, but a senior Israeli official told Israel Radio that “quiet would be met with quiet.” There were no instances of violence reported along the border overnight. The terror group’s spokesman Hazem Qassim tweeted that demonstrators would continue to “break the siege” on the Gaza Strip. Over the past four months the “March of Return” protests have led to deadly clashes which saw Israeli security forces facing gunfire, grenades, Molotov cocktails, and efforts — sometimes successful — to damage or cross the border fence. At least 160 Palestinians have been killed by Israeli fire since the weekly protests began, the Hamas ministry says. Hamas has acknowledged that dozens of those killed were its members. This entry was posted on August 10, 2018 at 6:23 PM and is filed under Uncategorized. You can subscribe via RSS 2.0 feed to this post's comments. You can skip to the end and leave a response. Pinging is currently not allowed.